While losing faith in such grave parenting trials seems understandable, we are too often undone by our parenting difficulties. The smallest trial will have us forget the omnipotence of our great God. A toddler who can’t seem to stay in bed but leaves the bedroom a dozen times every evening can make a parent feel like giving up and letting the kids do what they want. But if we give up on such a small thing, what will we do in the midst of greater trials? The key in any parenting trial is trusting our good and faithful God. If we could fully comprehend that he is all-powerful, all-loving, and able to strengthen us and move into our situation, then we would see any trial as small compared to his greatness. “Let us not grow weary of doing good,” the apostle tells us. Like the farmer who turns over the soil, removes the rocks, and plants the good seed, we must wait for the seed we plant in our children’s hearts to sprout and grow. After the seed sprouts, as the plants inch their way upward, we, like the farmer, must not grow weary in battling the weeds and pests and work to irrigate the field during drought. What motivates the farmer and keeps him from giving up? He has faith that if he does not grow weary, he will reap a harvest in due season. The same is true for us, Paul exhorts us. Now, God does not guarantee that the harvest will come in four months, like a farmer’s typical growing season. Our season of cultivation and care is often much longer. What if, in God’s design, the due season he planned for us is not four months, but four years or more? What if the season he has charted out for us is our entire lives? Is it then okay to give up? We only give up because we start to believe that there will be no harvest, no good fruit for our labors. While God does not promise us that our harvest will come within a particular timeframe, he does tell us that the harvest will come. That is where the promise from today’s verse is designed to strengthen us. 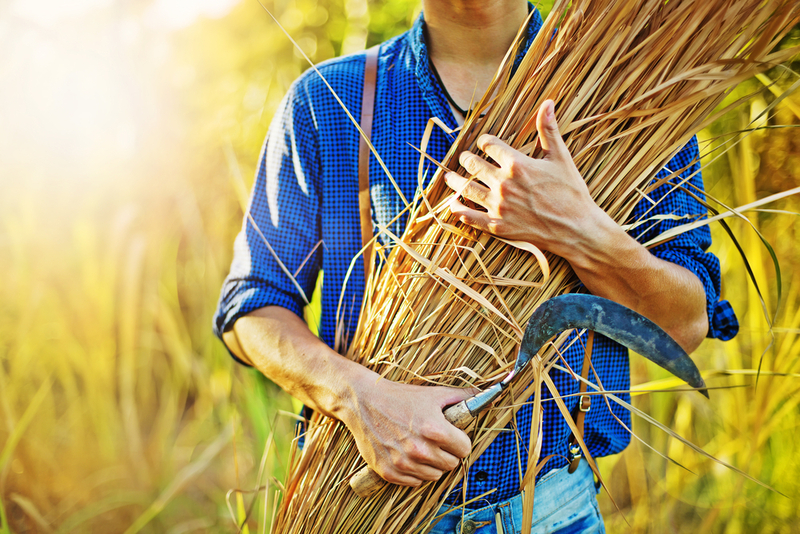 We do not know the length of our “due season,” but we have this promise: “We will reap.” No person serving God until the end of their days will be without a harvest to show for their labors. Remember this: You are not responsible for creating the good fruit; you are responsible for continuing to sow the seed. So, do not grow weary in doing good and do not stop in the fight for your kids. Keep sowing, for in due season you shall reap. Where are you most tempted to give up because you haven’t seen good fruit for your efforts or prayers? Find a private place and cry out to God for strength. Sometimes the best way to pray in the midst of trials is to call out loud. Speak out to God and reaffirm your trust in his ability to produce a harvest from your efforts. Resolve to keep cultivating the soil of your children’s hearts while you trust God for the results. Excerpt from Parenting First Aid: Hope for the Discouraged, available through New Growth Press. Click to Order your copy today.